Photoshop, when how much is too much? One day I was checking out del.icio.us I came across this site by accident. Mind you, I myself do a little bit too much tweaking on photoshop sometimes, if not all the time! 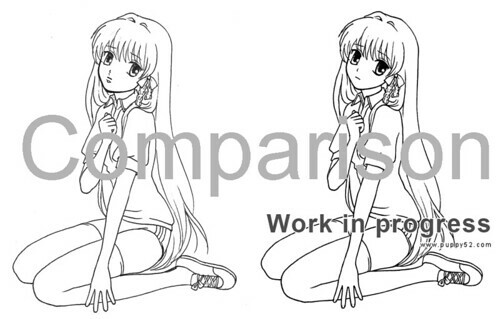 The one on the left is the original art, and one on the right is tweaked in photoshop. There’s probably a fine line between what’s enough and what’s too much no?